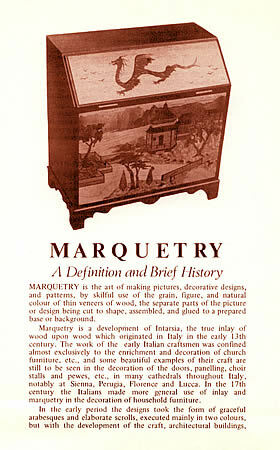 Another of our early promotional, or publicity, leaflets has been unearthed and sent in to us. just scroll down to check it out. 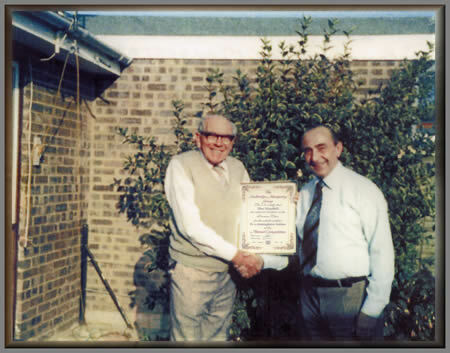 Two photos of a legendary member of the Marquetry Society receiving his "Fellow of the Marquetry Society"
A re-vamped version of our early publicity leaflet as seen on the previous page of Memory Lane. 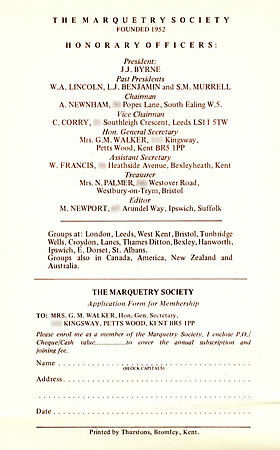 The inner two pages contain the same text as the original leaflet, however the design on the cover has changed and the list of officers on the rear page has been updated. 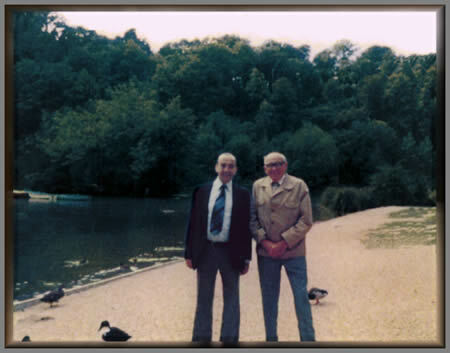 from Alf Murtell (right) at Len's home in West Sussex. of crafts persons and artists that we are today.